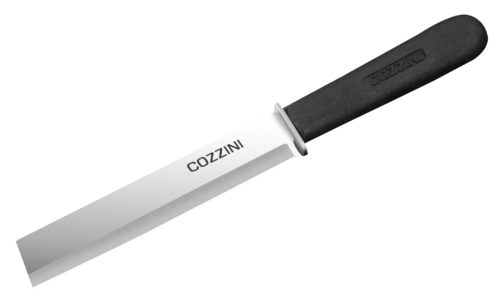 A Chef knife is typically the most used kitchen knife. 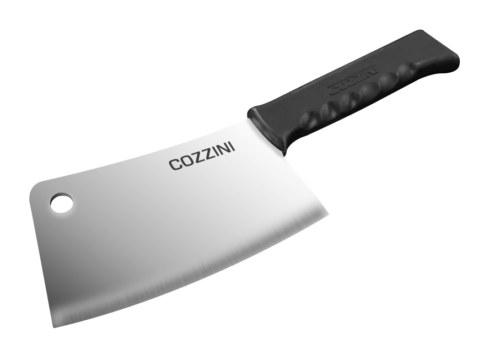 Slicing knives usually have long blades that allow for pure even cuts, thinner than a typical chef's knife. 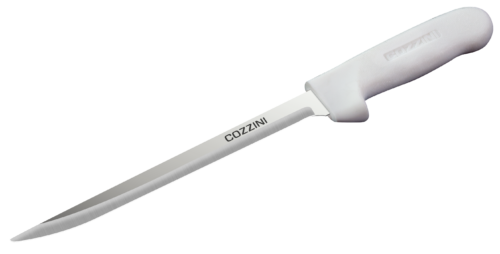 Boning knives are similar in appearance to a wide edge Filet, though thicker and less flexible. 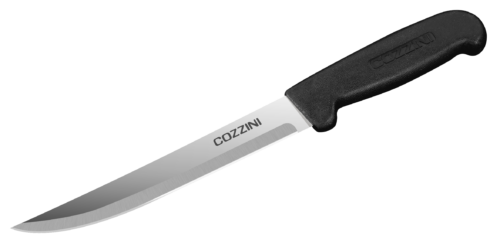 Filet knives are normally thin and flexible, allowing for precision cutting through increased maneuverability. Paring knives are shorter blade knives that are ideally utilized for detailed cutting, mincing or peeling. Heavy blade used for hacking through bone and crushing. 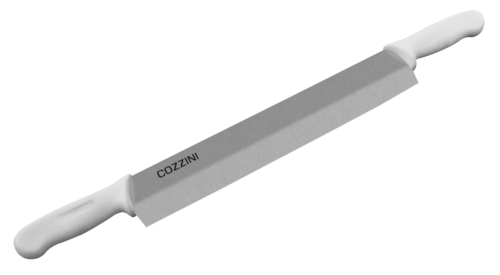 Bread knife has a durable, wide serrated blade and is a must-have in any kitchen. 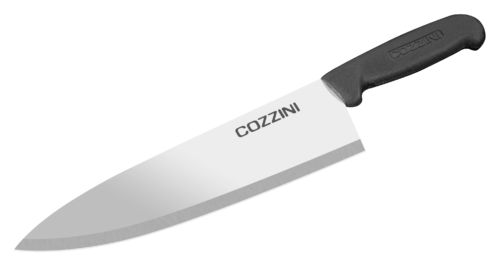 Breaking knives are slightly less thick and allowing more flexibility than a cimetar or steak knife. 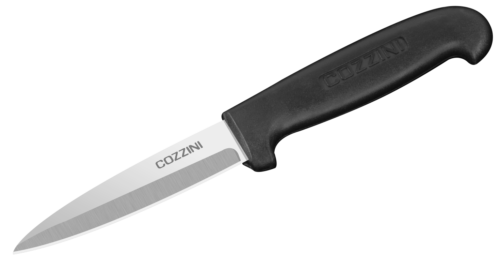 Designed to be a sturdy durable blade that allows an individual to put added weight with two handles. 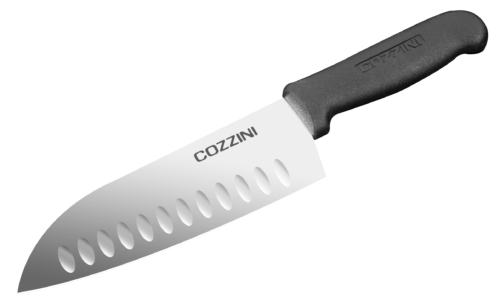 Originating in Japan, the Santoku knife was designed for slicing, dicing, and mincing. Handle in line w/ top of blade. 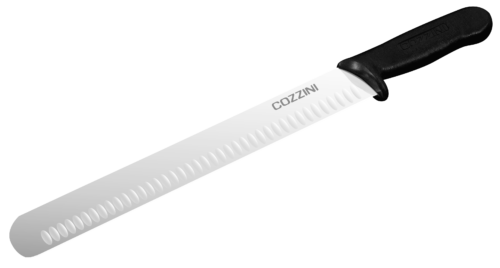 Perfect choice when slicing large pieces of raw meat. Cuts through all types of fruits and veggies.